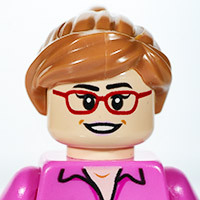 Here is a collection of LEGO-related sites which I find useful. NeoClassic Space – brings back a few memories for me! Brick Owl – Looking for that special part? eBay – Search for LEGO – it’s always nice to browse! LEGO Building Instructions – lost the instructions for a favourite set? Find it here. LEGO Shop – go on, you know you want to! LEGO Ideas – suggest an idea for a new LEGO set! Rebrickable – find out what you can make with your old LEGO sets!